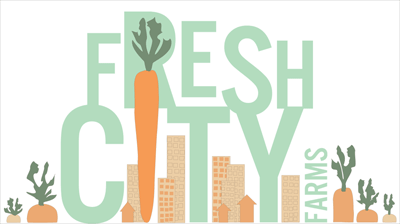 Fresh City is working hard to drive social and environmental change. As a Certified B Corporation, we are committed to growing our business in a conscientious and sustainable way. Here are just some of the ways we are ‘walking our talk’: delivering our food in recyclable packaging and reusable tote bags, ice packs and jars; donating food to organizations like Second Harvest; using vermicomposting at our warehouse to turn food scraps into nutrient rich soil for our farm; partnering with local farmers and suppliers to source fresh, local food and reduce our carbon footprint; delivering in fuel efficient vehicles; and innovative energy conservation and rain water capture systems at our newest greenhouse at Baka Mobile.